West Tisbury selectmen last Wednesday held a dog hearing in connection with a complaint that a PIT BULL named Doc Brown owned by Isaac Higgins bit Grantley Schenck, a new resident of West Tisbury, on Wednesday, Sept. 28, as he walked on Great Plains Road on the way to his nearby home. “This is a dangerous dog,” Ms. Jenkinson said. Mr. Schenck said the pit bull “leaped” at him repeatedly, and bit into his right arm. The dog is unlicensed. Mr. Schenck was able to escape into a neighbor’s house, and subsequently went to Martha’s Vineyard Hospital, where he was treated and released. There was initial confusion as to who owns the dog, Isaac or Wanda Higgins, Isaac’s mother. Mr. Higgins, who is the owner, was at work during the incident, and his mother handled the situation. Mr. Schenck agreed that the conditions of muzzle, chainlink fence, and banning the dog from West Tisbury were suitable. Mr. Higgins also agreed. “I don’t see any contention here,” Mr. Knabel said. “Regarding the muzzle, it’s an extreme measure, but this dog needs it,” selectman Cynthia Mitchell said. “Doc Brown has bitten before,” Ms. Jenkinson said. Mr. Higgins said the dog has bitten people three times, including the current incident. This gave selectmen pause. Selectmen required Mr. Higgins to pay any medical financial losses Mr. Schenck incurred by Dec. 31, 2016. 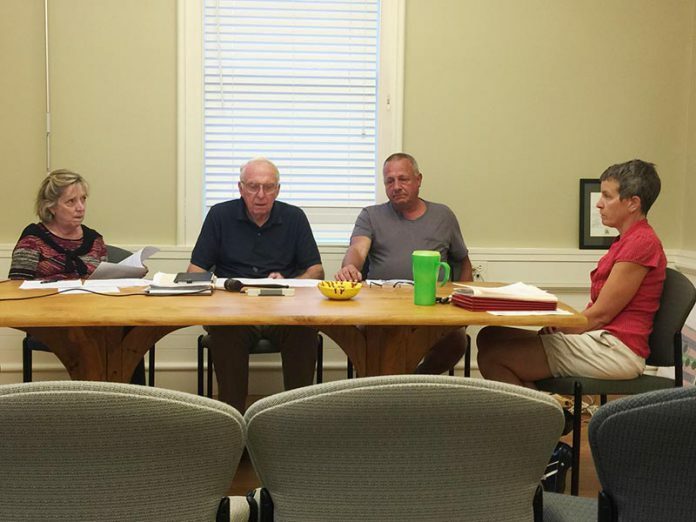 Selectmen also required that Doc Brown be banned from West Tisbury under any circumstances, but if the dog is in a car traveling through West Tisbury, that he be muzzled. PUT THE WORTHLESS PIT BULL IN THE GROUND! IDIOTS! Nutters! No, let's let the irresponsible pit bull owner, Mr. Higgins, take his unregistered dangerous pit bull to another town, so Doc Brown can put a person in the ground. YEAH! It's better to let a pit bull flex its DNA before it gets dirt napped, than to let a good pit bull be put to death before it gets a kill. Saving humans has never been a priority. This is what happens when people become too civilized. Hand wringing, political correctness, no one dares say what needs to be said, much less do it. That dog should have been put down after the first attack. Dayna, you hit the nail on the head. This hand wringing, political correctness causes so much more damage than it saves. Millions of animals suffer because of their inability to deal with the fact that some animals have to be put down. Whether it's an aggressive dog or a group of animals that are overpopulated to the point of starvation, the fur mommies would rather see human and animal suffering than to end a life. A dog such as this should never have had the chance to be born, much less attack three times.